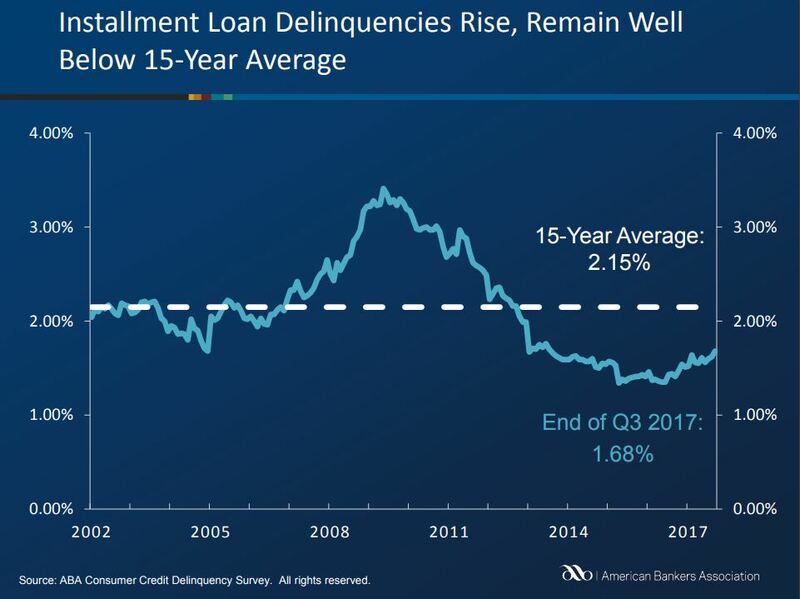 Delinquencies in many types of closed-end loans and home equity lines of credit rose in the third quarter of 2017, while bank card delinquencies fell, according to the American Bankers Association’s Consumer Credit Delinquency Bulletin released today. 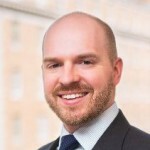 The composite ratio, which tracks delinquencies in the closed-end installment loan categories, rose 12 basis points to 1.68 percent of all accounts but remained well below the 15-year average of 2.15 percent. 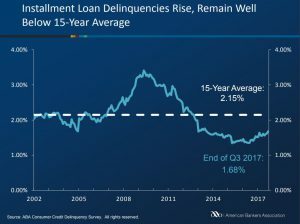 Delinquencies rose most on personal loans, growing by 38 basis points to 1.9 percent, and on property improvement loans, rising by 13 basis points to 1.08 percent. They also rose on direct auto loans and RV loans, held steady on indirect auto loans, and declined for loans on home equity, boats and mobile homes. Among open-ended loan types tracked by ABA, bank card delinquencies fell 5 basis points to 2.62 percent of all accounts, and non-card revolving loan delinquencies fell 2 basis points to 1.57 percent. Delinquencies ticked up one point on HELOCs.